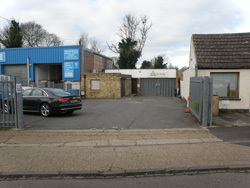 Small industrial freehold buildings for sale within Cambridge are a rarity. They tend to attract a high level of interest from owner occupiers as well as investors and developers. Robinson Layer has a 3,500 sq ft detached self-contained building for sale in Ditton Walk, just off Newmarket Road, to the east of the city centre with quick access to the A14. FOR FURTHER INFORMATION, PLEASE CONTACT JONATHAN LAGER AT ROBINSON LAYER ON 01223 346193 OR EMAIL jcsl@robinsonlayer.co.uk.